A while ago we blogged about using TeamCity to do Continuous Integration for PHP. TeamCity developers never seem to sleep: with TeamCity 8 a new feature called meta-runners was introduced. Meta runners allow us to reuse build steps by representing them as a native TeamCity runner. In other words, they allow us to make several build steps easier. Which is exactly what we decided to do: create some meta runners based on our previous blog post and make it really easy to run several PHP-related build steps. There is only one requirement: a PHP runtime should be installed on our build agent. 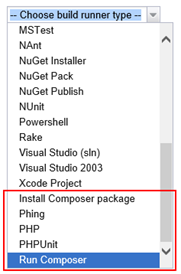 The Phing, PHPUnit and Composer meta runners will automatically download the latest versions of the executables during the build! Full documentation for these PHP meta runners is available on GitHub. 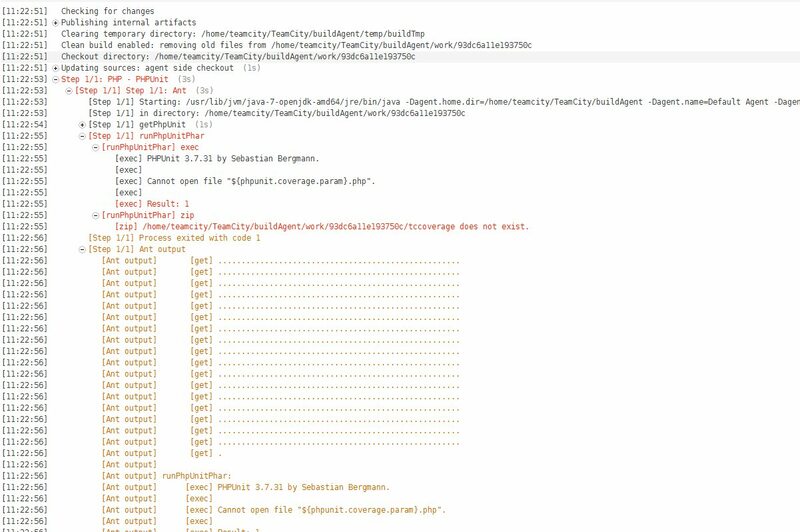 After downloading the PHP meta-runners from GitHub, all files named MRPP_PHP_<name>.xml should be copied into the <TeamCity Data Directory>/projects/<Project ID>/pluginData/metaRunners/ directory on our TeamCity server. 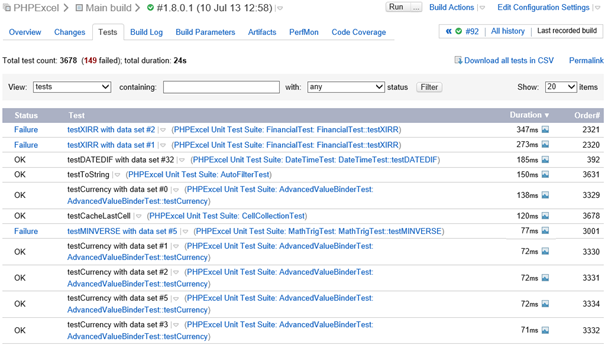 Since a big part of Continuous Integration is making sure the quality of our software is high, running unit tests is typically part of a build configuration. In the PHP world we typically use PHPUnit for this. 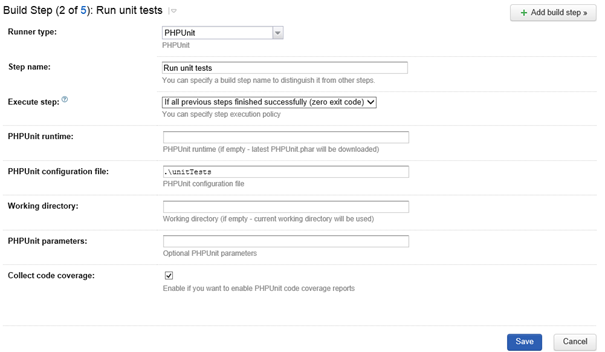 The PHPUnit runner allows running PHPUnit tests during the build and will optionally publish code coverage results to TeamCity. A build step using this runner will use a PHPUnit executable available on the build agent if specified, or automatically download the latest phpunit.phar from the PHPUnit.de website during the build. This will run and report back unit test results to the TeamCity server. Bugfixes and improvements for these meta runners (or your own, PHPLint and phpDocumentor runners would be nice!) are welcome through our GitHub repository. Haven’t tried TeamCity? Give it a shot! It’s 100% free for up to 20 build configurations. Let us know your thoughts through the comments below! This entry was posted in Features, How-To's, Tips&Tricks and tagged build configuration, build runner, PHP, TeamCity, unit testing, Unit Tests. Bookmark the permalink. Thanks a lot for these new PHP friendly features. Ive used TeamCity a lot when working with Java based projects, and im really happy to see that you are working to leverage PHP CI capabilities on it. Congratz!